Carole is a Springfield native. A graduate of Springfield High School, Carole attended Lincoln Land Community College. She is also a member of First United Methodist Church. Carole and her husband, Arnold, have four children and one grandson. 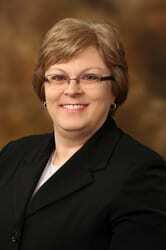 Carole joined the Staab Family team in 1995.